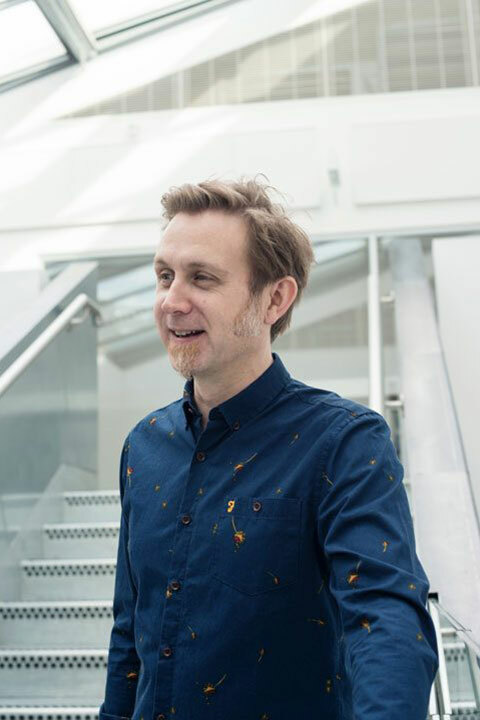 Glen Robinson is a senior lecturer at NUA, his main responsibilities include the coordination and teaching of the BA Design for Publishing programme. Glen’s approach to graphic design is led by a passion for typography, drawing and photography, with a focus upon experimentation, interdisciplinary approaches and collaboration between art and design subjects. I believe Design for Publishing requires the detailed study and love of typography, structure and story telling, because as designers we are responsible for making information both compelling and functional for our readers. I encourage my students to immerse themselves in the content and tell its story with honesty and passion. Publishing has an important role in our society as books, magazines, newspapers, exhibitions, whether they’re printed or digital are the gateway to our continued education and the imagination of others. I have taught graphic design for 12 years and my students have won numerous accolades including D&AD yellow pencils and D&AD student of the year, gained International Society of Typographic Designers membership, YCN and the Royal Society for the encouragement of Arts awards. My design practice is centred around an anthropological study of layered narratives and the ethical challenges mass communication has upon shaping society, whether it is artistically led, or concerned with news or commercial messages. I document my findings using photography, drawing and writing, presenting it through a broad range of themes including typographic experimentation, street art, artists’ books, exhibitions, publications and parazines. My scholarly work includes the study of labyrinths, folk stories and ancient symbols. Through this I have developed an interest in how art and design, emerging technologies and spatial design can create unexpected interactions that have the potential to ameliorate our built environment. Glen’s work is available to view on his website.